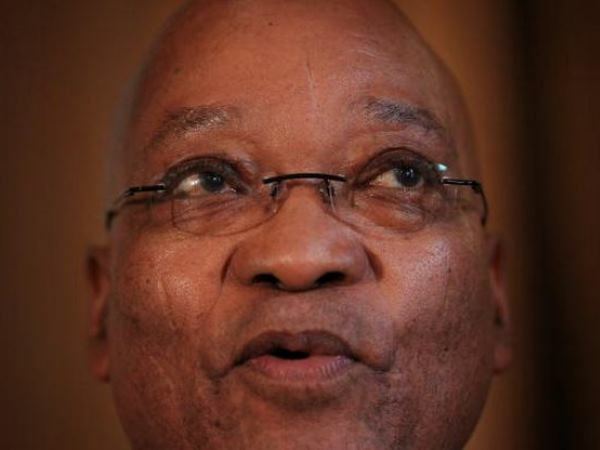 A consultant who has been employed by the KwaZulu-Natal Health Department since 2010 has earned more than President Jacob Zuma, bagging at least R15 million during the past five years. The two contracts he has signed could see him banking more than R20m over six years, while only working four days a week. The decision by provincial health head Sibongile Zungu to hire Shabeer Ahmed Essa is so controversial that his employment is one of the key complaints levelled by the National Education Health and Allied Workers Union (Nehawu) against Zungu. But Essa claims that he has been cleared by a previous investigation stemming from allegations made against Zungu, and has so far not heard anything negative from another recent investigation. He maintains he is being paid according to the rates determined by the Department of Public Service and Administration (DPSA). Zunga insists that Essa is not overpaid and vows to counter the Nehawu claims. And in fact the opposition Democratic Alliance says the amount earned by Essa is nothing unusual. The problem, according to Mark Steele, the DA's spokesperson on Public Accounts, is the number of consultants hired across the province at those amounts and the length of time they spend working for the province. In January the premier's office admitted that it was investigating allegations of mismanagement, corruption and wasteful expenditure against Zungu that the union had brought against her. They did not say what the allegations were, but in an attachment to a Provincial Executive Council memorandum, marked secret and signed by KwaZulu-Natal Premier Senzo Mchunu on December 2, Nehawu accuses Zungu of appointing friends to important posts, including Essa. Essa, it claims, was earning in excess of R5m a year. News24 has confirmed that Zungu signed a two-year contract in August 2010 with "Shabeer Ahmed Essa trading as Financial Excellence" that would, according to page five of the contract, see Essa being paid R274 165 a month. That works out to at least R3.29m a year - more than the R2.75m President Jacob Zuma earns currently. The two-year contract, a copy of which is in News24's possession, allowed for a further one-year extension. A new 2013 two-year contract signed by Zungu on October 29 of that year confirms that the previous contract was extended, meaning that Essa was paid at least a total of R9.87m over the three-year period. Not only that, the October 29 contract - a copy of which is also in News24's possession - back pays Essa for the two months (September and October 2013) that he was not contracted. According to the contract Essa would be paid for 80 hours of work per month at a rate of R2 415 an hour, excluding value added tax. That works out to R386 400 for those two months. From November 2013, the contract stipulates that he be paid R1 992 an hour excluding VAT according to annual rates set down by the Department of Public Service and Administration and is obliged to work at least four days a week. At a contractual minimum of 16 eight-hour days worked every month Essa would have bagged at least R254 976 a month, or R290 672 a month with VAT. That means by the end of March the department has paid him R4.94m for the current contract - or a total of R15.196m excluding expenses since August 2010. The current contract allows for a further renewal of an additional 12 months at the end of October, which means that Essa could in fact take home R10.46m over the maximum three-year life of the contract. And that would mean Essa would have earned a little over R20m for six years work between August 2010 and October 2016. Appointment investigated - Essa Essa this week denied he was being paid excessively, and said he was being paid according to the DPSA rates for consultants and had no say over these rates. "I think that the rate is fair and has been applicable for many years. It is commensurate of the experience, knowledge and expertise that one brings to the table," he said. He said he had no special relationship with Zungu, but that all contracts had to be signed by her by virtue of the fact that she is the accounting officer of the health department. "This whole appointment was investigated and nothing came of it. It's not the first time that the unions are saying this. They did it last time. There was an investigation that was commissioned. They looked at it. They came back and found nothing." He said that "the procurement process was legit (sic) and done by the book. I do the work and deliver on it". "If the procurement process was done contrary to the (supply chain management) prescripts, the Auditor General would have identified it in the audits," said Essa. Zungu said: "It is a misnomer that he is earning a substantial sum of money. It won't be fair to keep on harping with an element of untruth." She said that allegations that he was overpaid stemmed from claims made by the union and that she would in due course provide details of his appointment to prove that he was adequately paid. In terms of the 2010 contract Essa was appointed without a tender as "the department recognises that it is impractical to invite tenders and that under the circumstances the procurement of additional sources can only be undertaken by deviating from a procurement system that is competitive as provided under the Constitution". According to this contract Essa was meant to report to the department's chief financial officer and his main responsibilities were "Suspense Account Management", "Debt Management", "Payroll Control and Management", Capacitating Responsibility Managers" and to provide other "technical assistance" as required. Apart from being paid R274 165 a month, he was also entitled to claim for travel. The tasks assigned to him in the second contract were substantially different to those in the initial contract. He was expected to render assistance for the department's takeover of McCord Hospital, possible takeover of Pongola Hospital and St Mary's Hospital, provide "technical assistance" on a number of other issues such as grant funding, the placement of patents in the Montebello Chronic Sick Home, and represent the department's interests on the board of the KwaZulu-Natal Children's Hospital. But while Zungu appears to have been happy with his work and the amount he has been earning, others have not. An e-mail sent to the Nehawu leadership on June 24 last year urges the union to investigate Essa. The writer of the e-mail, whose identity is not known, claims that "based on his poor performance, the CFO refused to renew his contract because he was not adding value to the department". The e-mail, a copy of which News24 has, also claims that "the MEC [Sibongiseni Dhlomo] was very upset about the non-renewal of the contract". The chief financial officer (CFO) at the time Essa's first contract was up to be extended for a further year in 2012 was Mashaka Enos Ravhura, who was subsequently suspended and then dismissed earlier this year from the department. Ravhura, who is currently fighting his dismissal in the bargaining chamber, said that he had refused to pay Essa. "I was not satisfied with his work. He does not have the qualifications for the money we were spending. I was not happy with the contract at all," he said on Monday. Ravhura said he believed that for the same amount of money that was being paid to Essa he could have filled three managerial posts that he had desperately needed. Essa said that he had no conflict with Ravhura. "I only know that he never supported my appointment." He added that he had never known the reasons why Ravhura had not supported his contract. "If I have done something that's so bad and there's evidence of it, instead of saying there are allegations, lets put the evidence [out there]. I am happy for them to [reveal] the evidence showing that Shabeer has done something wrong." Essa said that his involvement with the department in various consulting capacities over the years predated Zungu's appointment by at least nine years, when he first worked with the former head of department Professor Ronald Green-Thompson.